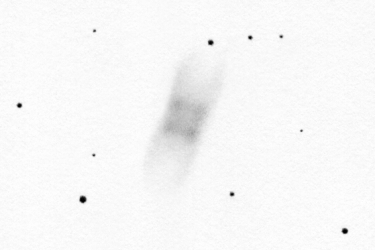 M 61 drawing inverted into positive. 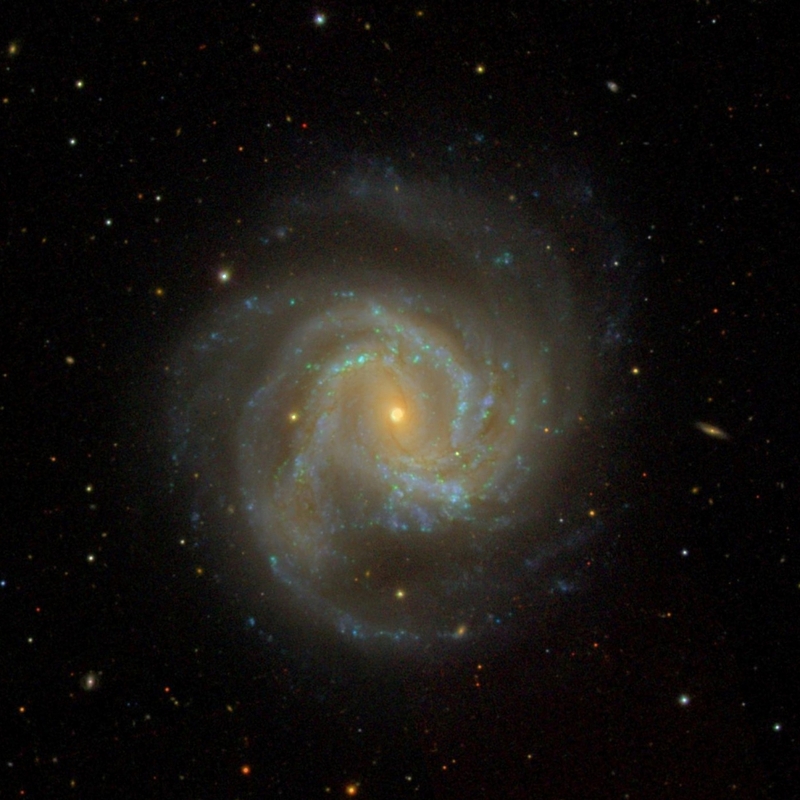 M 61 (Messier 61) is a beautiful spiral galaxy in the S Cloud in the southern reaches of the Virgo Galaxy Cluster. 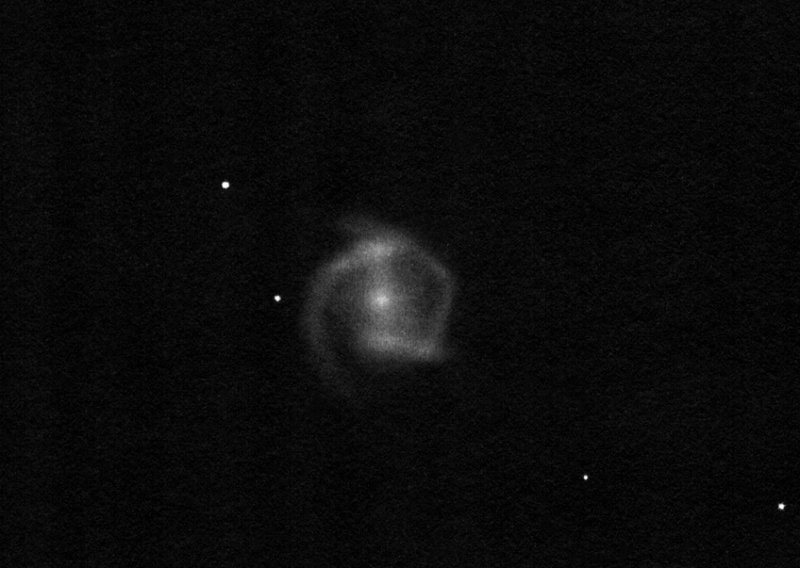 Its type is SBbc but just like any other galaxy its appearance is completely unique. It is a starburst galaxy containing an active nucleus and it is among the greatest members of the Virgo Cluster. The system looks great in the eyepiece of the 16" scope - the spiral arms are already obvious at first sight. The galaxy is not lacking contrast at all. 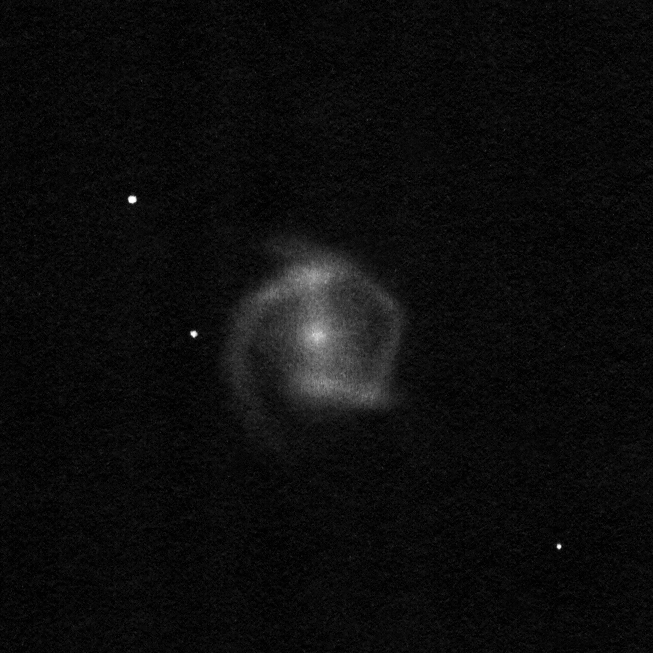 The core of M 61 is very bright - just like it should be for an active galaxy - but it is not stellar. Surprisingly the bars are not that pronounced. But the two bright spots at each end of the bar are really bright. 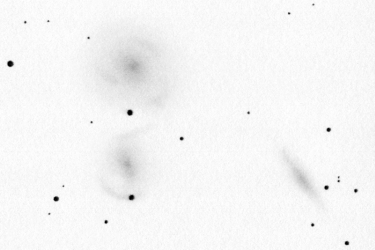 This is a common characteristic among barred spirals. The upper one (Southern one) iseems to be inhomogenoius. The square elbow is a very interesting detail in one of the arms (to the right of the nucleus). Unfortunately I haven't seen the fainter outer arms. 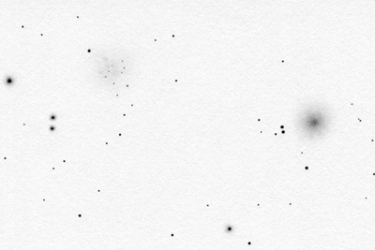 The galaxy is about 3x as big on deep photographs as on my drawing. The outer arms are tightly wrapped and look beautiful. 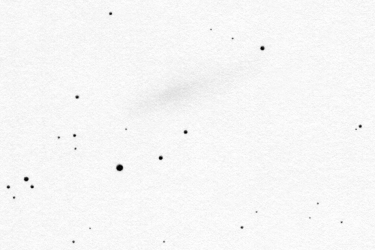 These would probably require a much bigger telescope and better sky as well. 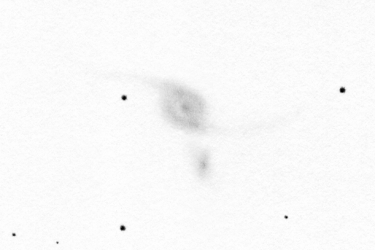 You can see the SDSS (Sloan Digital Sky Survey) image of M 61 made with the 2.5m telescope next to my inverted drawing. Both images cover about the same area of the sky. 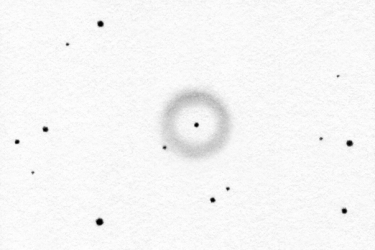 It is obvious that I haven't seen the outer fainter parts of the galaxy. It is worth comparing the images using the three stars you can see on my drawing. 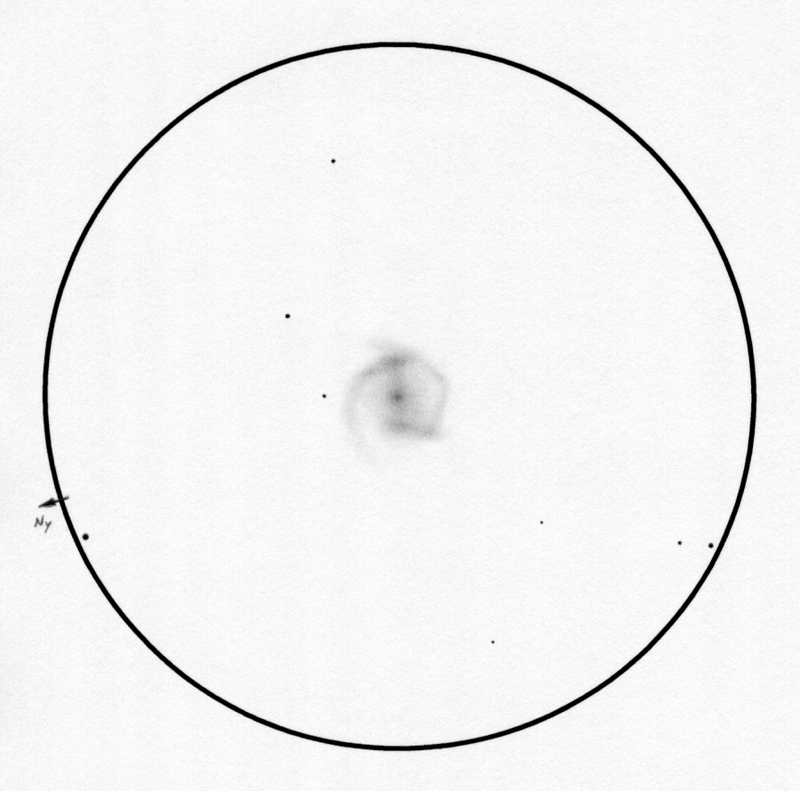 I could see only the innermost spiral arms in the 16" scope.